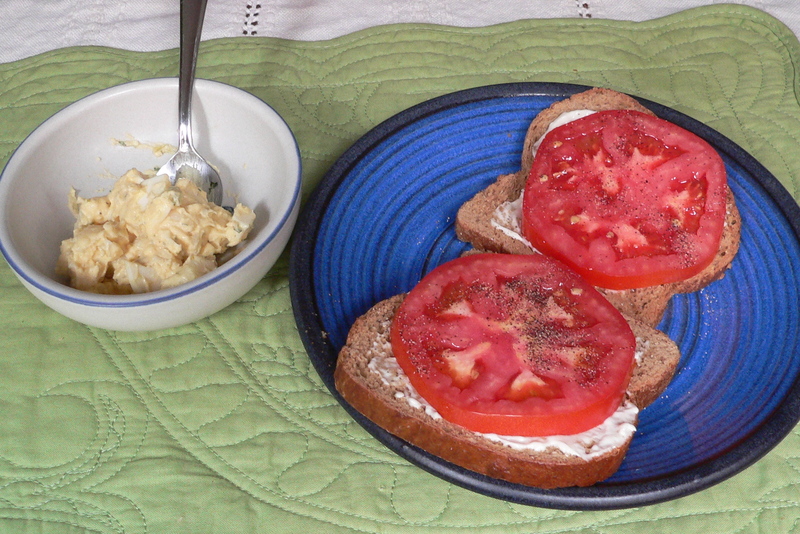 One of my favorite summer snacks is sliced tomatoes on toast. What makes it so delicious are the garden-fresh tomatoes. Each year I look forward to the juicy sweet flavor of freshly picked tomatoes from our garden. If you don’t use locally grown tomatoes, the treat just isn’t as tasty. I toast two slices of whole wheat bread, spread on mayonnaise, add hearty tomato slices, and sprinkle a bit of salt and pepper on top. Voila! There is my simple summer snack. Today I paired it with some potato salad for a quick yet satisfying lunch (see below). Gallery | This entry was posted in On the Menu and tagged garden tomatoes, local tomatoes, seasonal produce, summer snack, tomatoes on toast. Bookmark the permalink. 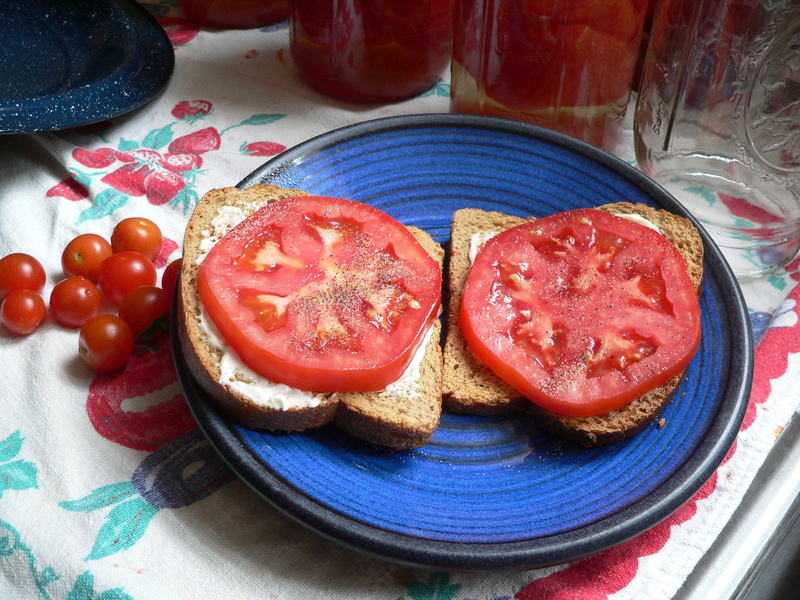 I found your post after looking for images of tomatoes on toast so I could post on my own food blog (https://inthekitchenwithrebecca.wordpress.com/) about doing something very similar. How great that I found this!